It’s often right about trust. If you sense that you shouldn’t trust someone, follow your gut. If you don’t feel safe, leave. However, if you tend to be a judgmental person, or quickly discount people in any negative or condescending ways, your intuition might just be ego. If you don’t believe yourself to be socially intelligent – meaning your intuition in social settings is usually right – then start reading a few books on social psychology and social intelligence. It’s right about positive growth. Follow what makes you feel passionate and connected. Listen to what excites you or draws your deep interest. If you feel there’s a new area to learn about or master, then make a plan and move toward it. Intuition operates best after effort. Don’t listen to your gut if it says “quit” even before you’ve really began – that’s fear, not intuition. If something inside discourages you from taking on new or difficult things, then it’s probably just fear. Intuition is most accurate in movement. 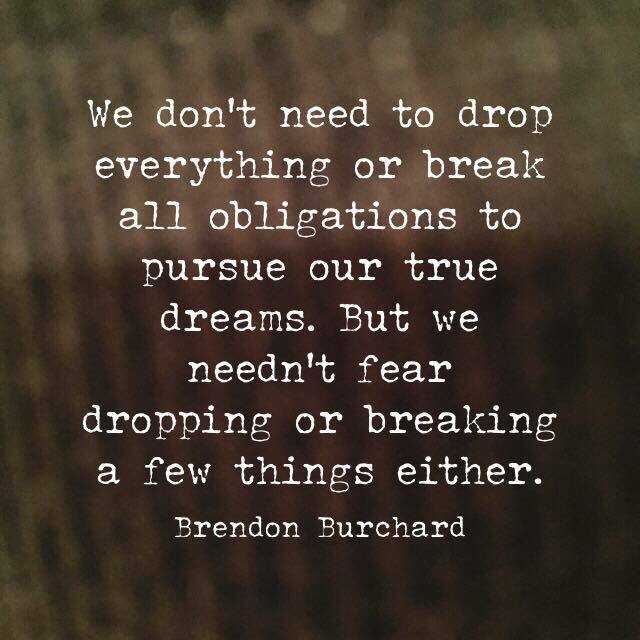 So, take a couple of action steps toward what you want despite the fear. Intuition reminds us about faith. If you sense that it’s time to reconnect with your values, or you feel that you are not being your best self, then listen to that message. Your intuition is reminding you to connect to something higher. When you follow your intuition, not fear, then you will keep connecting to #TheChargedLife! We have a big new idea and you just feel compelled to do it. Should you do it? Or you feel like you’re repelled from an idea or a person, should you follow that? Or you don’t feel safe over here but you feel safe over there? Or you feel called to do this other thing? And I say, “Well, let’s first check that.” Intuition usually operates kind of on 4 planes and if it’s not operating on those 4 planes, it’s probably just a thought. Maybe it’s a fear or a concern but it’s not the real thing. I think our intuition, first and foremost, operates at a level that is for trust. Do I trust this person? You should follow that intuition. If you feel a bad vibe from someone, follow that immediately. If your intuition says, “This person’s going to boggle and just mess up this project”, they probably will. Your intuition with people, if you found out that you are a generally socially intelligent person, follow that. If you have always been dumb with people, don’t follow your intuition with people. You need skill development in that space. Read some books on social psychology, read some books on social intelligence, get in the game a little bit, understand how to deal with difficult people, understand conversations, understand persuasion and influence. Tons of good books out there. But if you’ve generally been okay with people and you sense that you shouldn’t trust someone, follow that intuition. I think a lot of people have made that mistake before and I bet you have too. Lots of people have. So, pay attention to that. I would say, also, intuition usually operates on the realm of positive growth for us. If we have an idea and our intuition says, “I should try that. I feel connected to that idea. I’m passionate, I’m excited about it.” Then go for that. I would also say that the intuition tends to operate best after effort than before. A new dream comes up, it’s so easy to say, “Well, my intuition says I shouldn’t do it. I’m not good enough. I’m not smart enough. People will make fun of me or people won’t support this. I’m not ready to do this.” And that’s a challenge. 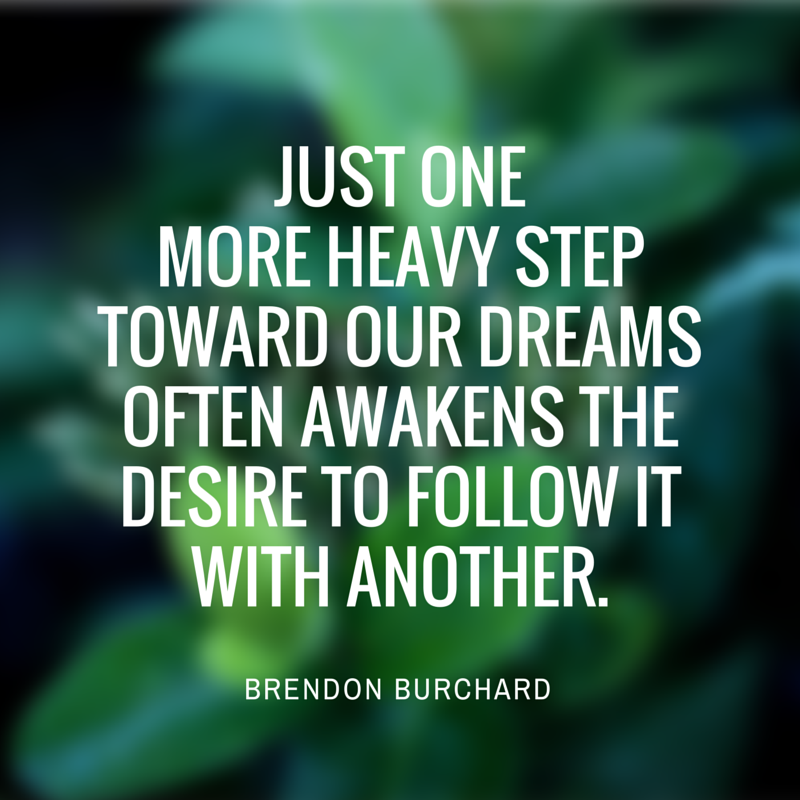 Sometimes intuition is fear if it says, “Stop before you try.” Especially, in terms of goal attainment, seeking things. Sometimes intuition sounds like fear because it says, “Stop” to protect yourself. Like there’s real safety or physical safety concerns. Listen to those, alright? When your body says don’t walk down that alleyway, that’s not intuition, that’s just common sense. But the intuition that says, “Let’s try, let’s get in the game, let’s just take that for a step”, listen to that one. But if their intuition is saying, “Don’t do it. Don’t do it because I’m scared or people might reject me or I’m not good enough.” Don’t listen to that one. That’s fear. But don’t let that small part of you, that intellectual side or that unconscious side that says, “Well, you know who am I to do this” because sometimes your intuition says, “You’re not big enough for this, partner.” But your mind has to say, “You know what? That I’m going to develop the skills and the habits and the routines to build into that. I will become what I must become” because sometimes, your intuition is just operating based on today. So, listen to that. 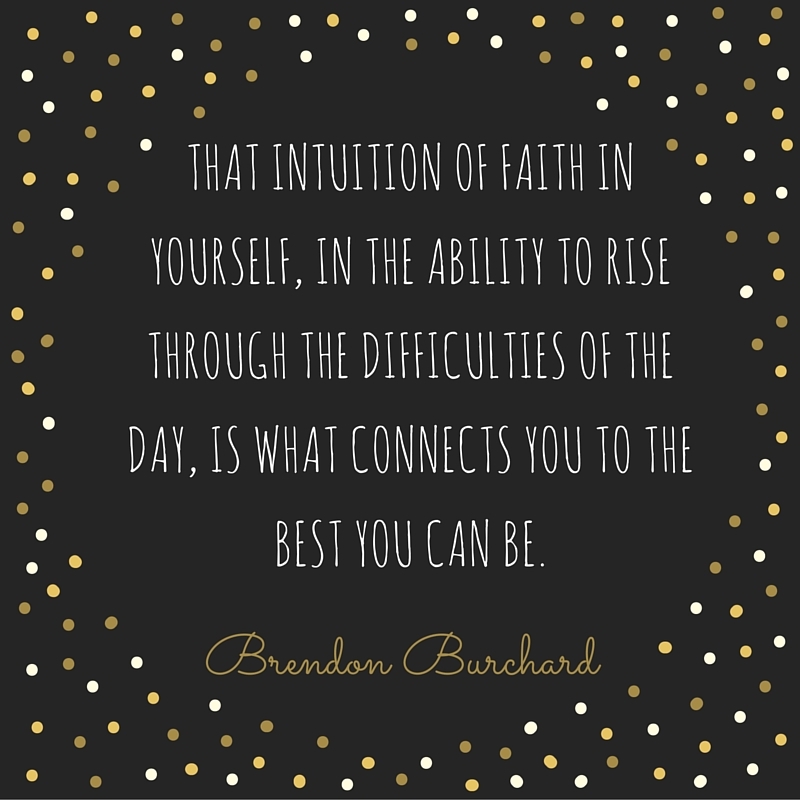 That intuition of faith in yourself, in being the best of who you can, in the ability to rise through the difficulties of the day. If you will keep connecting with those types of intuition, you will keep connecting to what we call, The Charged Life.